It goes without saying that the women of Team USA figure skating are some of the most impressive human beings on the planet. But unfortunately that didn’t translate to placing at this year’s Winter Games. The 2018 Winter Olympics are wrapping up this weekend, and the women’s figure skating team got the lowest score they’ve earned since WWII. 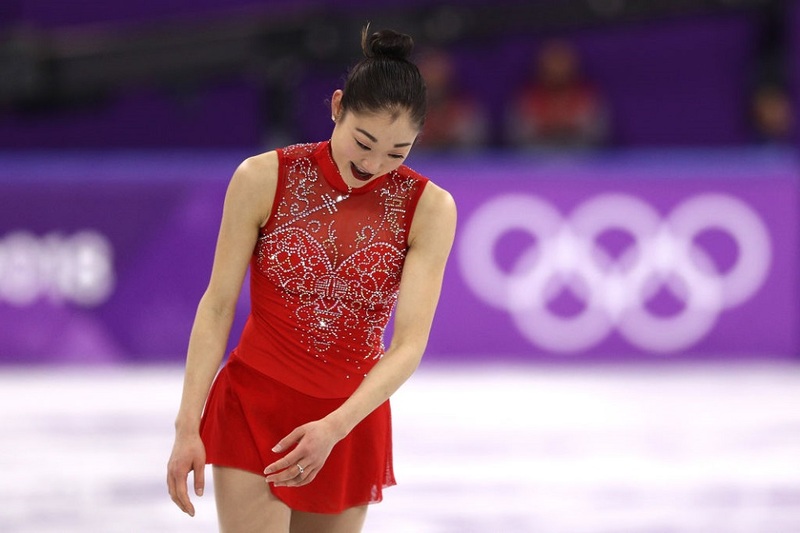 While she received nothing but praise for landing the first 3½-revolution triple axel, American skater Mirai Nagasu had a rough end to her journey individually, landing in tenth place. Karen Chen and Bradie Tennell, who have both received high honors prior to Pyeongchang, ended up at ninth and eleventh. The New York Post pointed out that, historically, a woman from the United States has placed at least sixth since the 1940s. Aside from falls, figure skaters like Tennell decided to step out of a few planned combinations within her routines, which lowered her score. "I think we all could have skated better, but you know, you knock us down and we get up to fight,” 20-year-old Tennell said to reporters at the Games. The gold ended up going to Alina Zagitova from Russia. This marked her first time competing at the Olympics at just 15 years old. Even though they probably didn’t do as well as they hoped, these ladies have so much to be proud of (aka making it to the Olympics in the first place). Well done.